Spend a week on the luxury Alexander The Great offering first class accommodation with warm, friendly service creating a relaxed and intimate cruising experience. Combine this with the a relaxing stay in Luxor and you have the best of both worlds. Days 2-7: Join the Alexander The Great for a wonderful 6 night cruise. Our Classic Nile Itinerary takes you from Luxor to Aswan, visiting some of the most spectacular ancient sites in the world including the stunning Valley of the Kings, the burial place of the Pharoahs including that Tutankhamen and the breathtaking temples Karnak and Luxor. 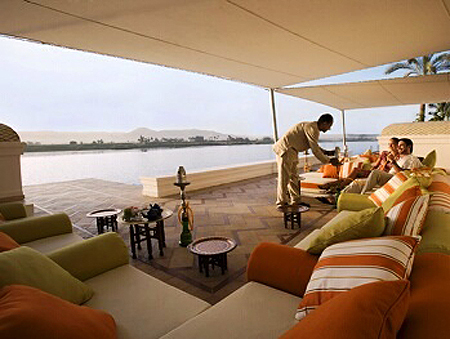 Day 8: Disembark after breakfast and transfer to your chosen hotel in Luxor for stay of 7 nights. Days: 9-14: Time to relax and enjoy the many fascinating sights and sounds that Luxor has to offer. Day 15: Transfer to Luxor airport for your return flight to the UK.